Summer 2017 starts at Tokyo Disney Resort on July 11 until August 31, 2017! The official Tokyo Disney Resort Blog has all the details on the shows that are happening at both parks. 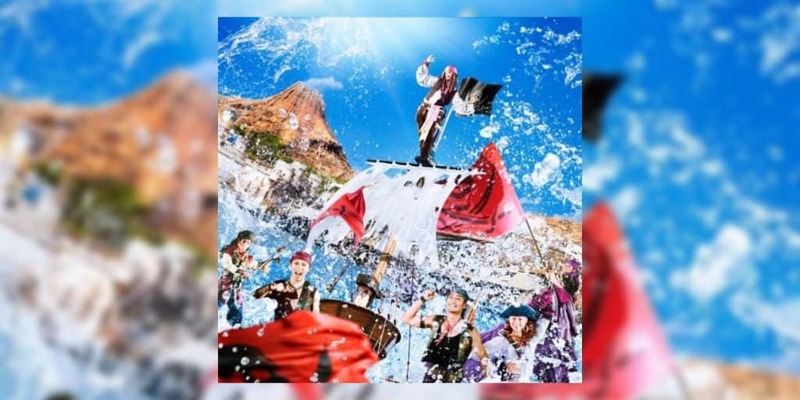 A brand new Pirates of the Caribbean harbor show at Tokyo DisneySea, a new summer show in front of Cinderella Castle at Tokyo Disneyland, a renewed version of Tokyo Disneyland Electrical Parade Dreamlights, and more! We have all the details to help you plan your trip this summer. 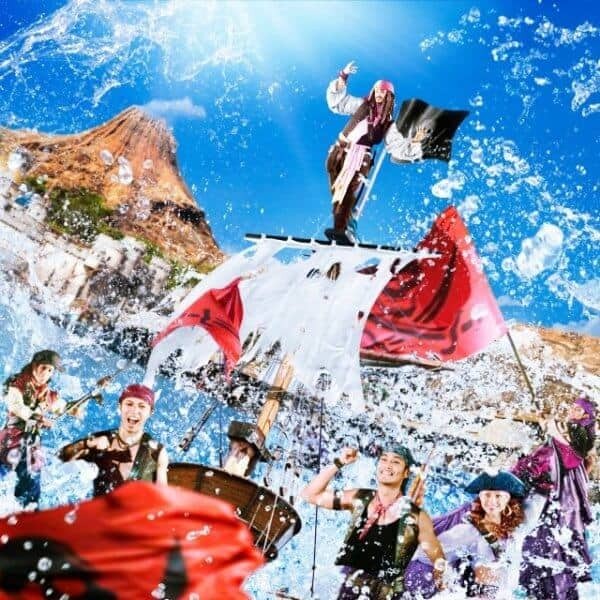 As part of the Disney Pirates Summer at Tokyo DisneySea, a brand new show called Pirates Summer Battle “Get Wet!” makes its debut. Pirates who occupy Porto Paradiso led by Barbosa make an appearance along with their arch nemesis, Jack Sparrow. Where he’s preparing for his battle against the Black Pearl. Guests and pirates unite together in this “cool and refreshing” party in the Mediterranean Harbor. Over in the Lost River Delta, it’s transformed into a tavern occupied by Pirates called the “Pirates Cantina Fiesta”. Here guests will find Pirates-themed merchandise, menu items, decorations, and atmosphere shows. In Adventureland over at Tokyo Disneyland, there is a special program to celebrate the Japan release of Pirates of the Caribbean: Dead Men Tell No Tales on July 1, 2017. 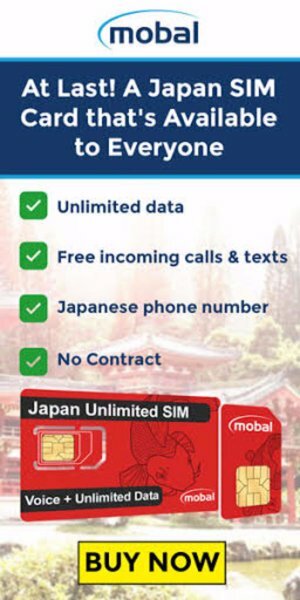 No further details are yet known. 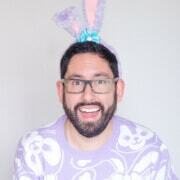 Garyo Gunbu will leave you soaking wet during the hot and humid summers in Japan. Photo from earlier years. Over at Tokyo Disneyland, a new show called “Sansui! 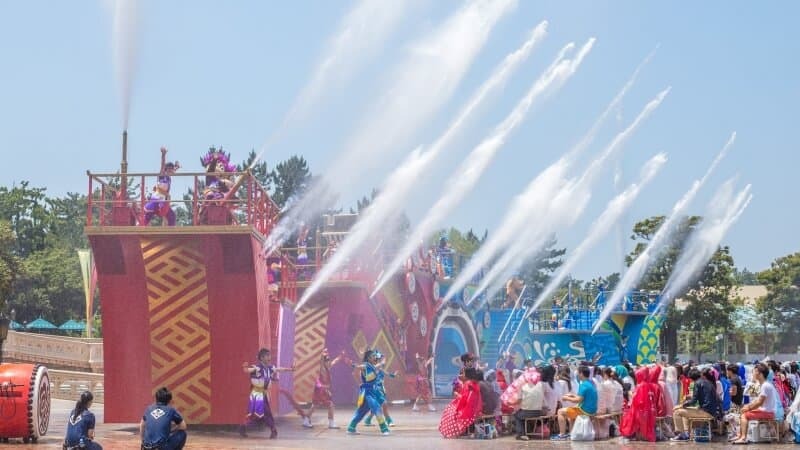 Summer Beat” (燦水！サマービート) takes the stage in front of Cinderella Castle on large floats which spray guests with water. Mickey and Friends debut in brand new costumes and perform your favourite Disney Songs on traditional Japanese instruments (which are arranged to the style of a Japanese summer festival). Also, in the Plaza Terrace guests will find traditional Japanese summer festival booths offering food and merchandise! The newly updated version of Tokyo Disneyland Electrical Parade Dreamlights debuts July 11, 2017. 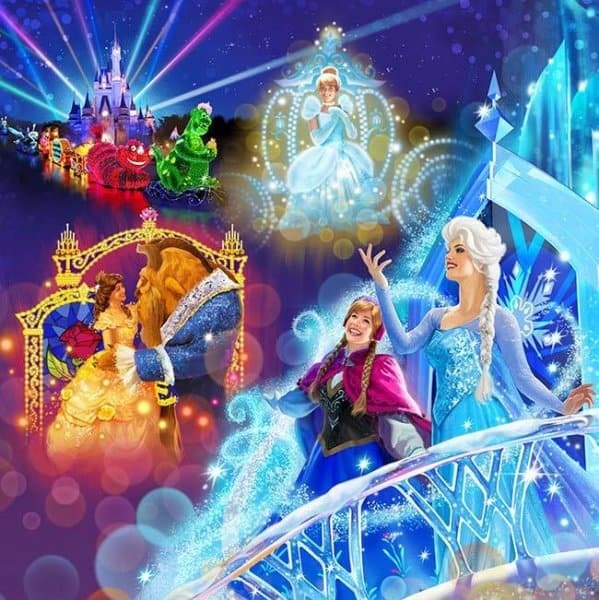 The update includes a new Frozen float, an updated version of the Cinderella float, and the return of the Beauty and the Beast float with added LEDs (which was retired in 2011). There is a total of 5 new floats in the parade. 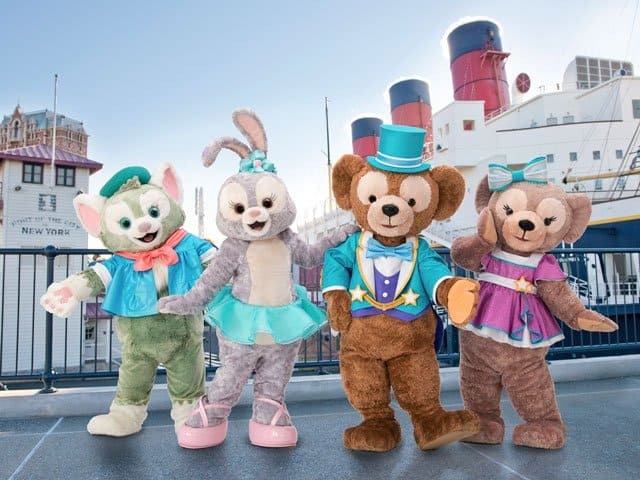 The new dockside stage show “Steps To Shine” debuts on July 11, 2017, with Duffy’s newest friend StellaLou. Finally, the Disney Hotels, Tokyo Disney Resort Line, and Ikspiari will join in the summer fun. We’ll share more details once they are known. 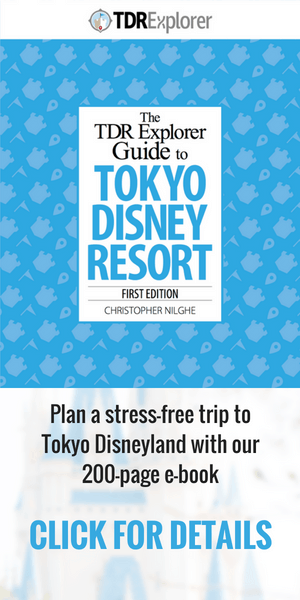 All images and information from the official Tokyo Disney Resort Blog.